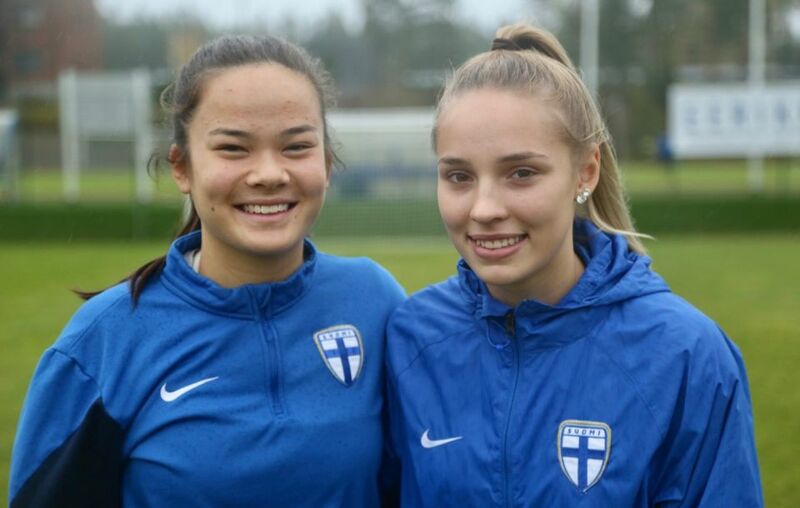 Finland's women's juniors prepare for the nation's first Women's Under-17 World Cup finals abroad as young female footballers overcome major challenges at home. 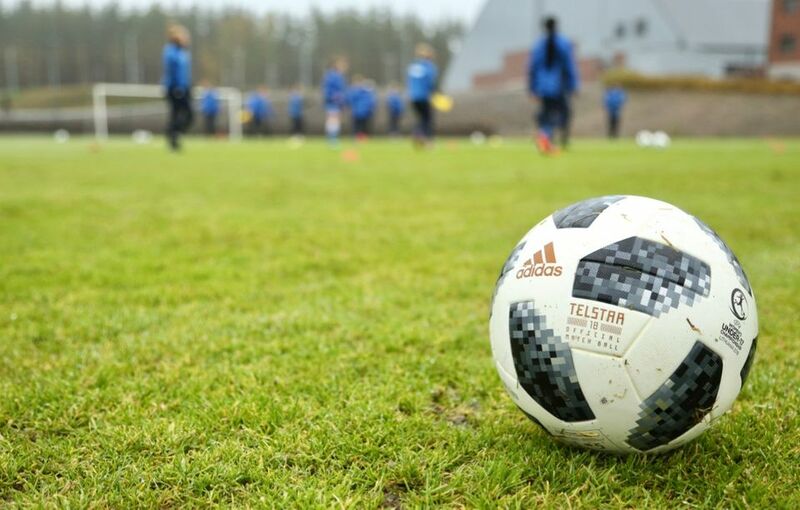 "It's easier for boys to get the attention," says Nana Yang, a 17-year-old defender with 'Pikkuhelmarit' or 'Little Pearl Owls', Finland's junior women's football team. "They are already up on the podium, but we have to work extra hard so that we get to be there." Yang is a member of Finland's upstart national women's under-17 football team, which defied the odds to grab a place in the finals of the 2018 FIFA U-17 Women's World Cup – a first for the Nordic nation. This year's biennial championship takes place in Uruguay from 13 November to 1 December. In 2014, Finland – and neighbouring Sweden – submitted a bid to host this year's tournament; a winning proposal would have secured the national team an automatic place in the finals as hosts. However instead of taking to the field as patron of the games, the junior pearl owls are claiming their rightful place in the championship as young warriors who have fought their way through an array of formidable opponents. Female footballers in Finland have long lived in the shadow of their male counterparts, with more funding, bigger crowds, better pay and the lion's share of media attention going towards the men's game. 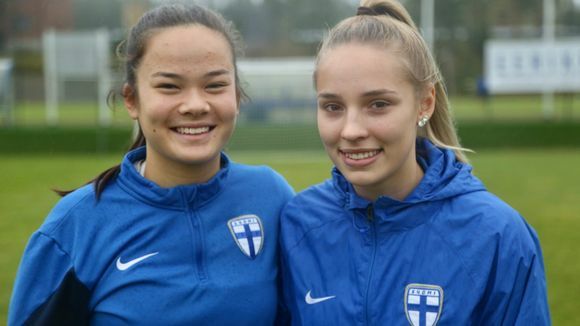 However, with almost 30,000 registered female players in Finland – up from 20,000 in 2005 – and a succession of qualifications for finals tournaments by senior and underage women's teams, the women's game is covering new ground..
Yang's teammate, central defender Kaisa Juvonen hopes the team's recent success will help to maintain the trend and encourage the next generation of female footballers. "We are constantly working on how we can evolve women's football in Finland and it’s been going well," explains Juvonen. "It's important that other girls start to believe that everything is possible, because nobody expected us to take the bronze medal in the European Championships or go to the World Cup. So maybe it gives them some hope." The team's head coach Marko Saloranta agrees that "it's getting better," while at the same time conceding that much more still needs to be done to improve the game for women in Finland. He says the key is to develop the professional side of the women's game. Under the current conditions, with less money in the sport, female footballers must juggle work, study and other commitments around training and matches. "Even the teams in the highest leagues need more professionals and bigger staff helping the players," says Saloranta. "If your goal is to play abroad or for the national team then it's not possible to work and take care of all the other things." The Finnish Football Association has made the development of professional women's clubs a priority for the next decade. General Secretary of the association, Marco Casagrande says this is essential if Finland is to keep up with the competition. "All the big nations are really pushing women’s football so if we want to be successful I think we need a strong women's league, and we need strong women's clubs that can take care of players. Nowadays we have practically no professional female players in Finland playing for the league clubs – and that has to change." The upcoming Under-17 World Cup in Uruguay presents an excellent opportunity to raise the profile of the women's game in Finland, and according to Casagrande "girls need idols". Casagrande says he was extremely impressed when he watched the Little Owls play, and he believes their technical ability and positive attitude to the game is the natural consequence of many years of hard work. "The coaches and the player development path for girls has been consistent for 10 years and you can see the results. That has been amazing," says Casagrande. "Those matches that the girls played, and how they performed with such self-confidence. It's exceptional. It would not be a surprise to me if they were to do really, really well in Uruguay." Head coach Saloranta says he has witnessed many changes since he first began working with women's teams in 2002, but the growing confidence of this next generation of young female footballers has been especially noticeable for him too. During the Women's Under-17 European Championships finals played in May this year in Lithuania, Finland beat European powerhouses such as the Netherlands and England to finish third in the tournament overall. In the decisive game against England, Finland showed its true mettle by recovering from conceding an early goal to win 2-1 and guarantee its place at this year's World Cup finals. Saloranta says he was not surprised by his team's success. "They are not going onto the pitch and waiting to see what happens. They are taking control and they seem to enjoy doing that," he adds. "Under tougher pressure, they play a better game. It is not by accident or luck. They believe that they are good enough to do it." However, despite this growing confidence and a firm belief in their own abilities, central defender Juvonen is keen to emphasise that the team will adopt a sensible and practical approach to the World Cup finals. "Our goal is to qualify from the group stage but our team always plays one game at a time. We try to play our best in one particular game, and then move on to the next one. This is what we did during the European Championships, and it worked for us." Defender Yang agrees with her teammate, but does have some high hopes for the potential outcomes from the tournament. "I hope that our whole team gets a good chance to show the world what we can do, and how good we are as individual players," Yang adds . "And I hope that Finland supports us through this World Cup, so people watch our games on TV, and maybe also that little girls can get something out of our journey – that they could start playing football too." *Finland's U-17 women's team will kick off their World Cup adventure on Tuesday, 13 November against New Zealand at 22.00 (Finnish time). The game will be streamed live online on Yle Areena.